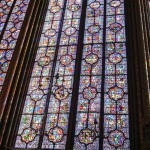 No visit to Paris is complete without medieval churches and stained glass. 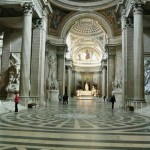 Although Notre Dame is the most famous cathedral attraction, it was too dark and crowded for a long visit. Instead we went to St. Chapelle, luckily at a deserted moment. Later, to the Cluny Museum. 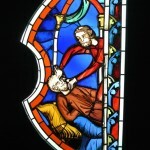 The Cluny houses some of the stained glass of St. Chapelle. At St. Chapelle, its grandeur and sense of awe are stunning. 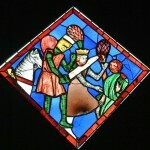 At the Cluny, you can get much closer to the stained glass to see the details. 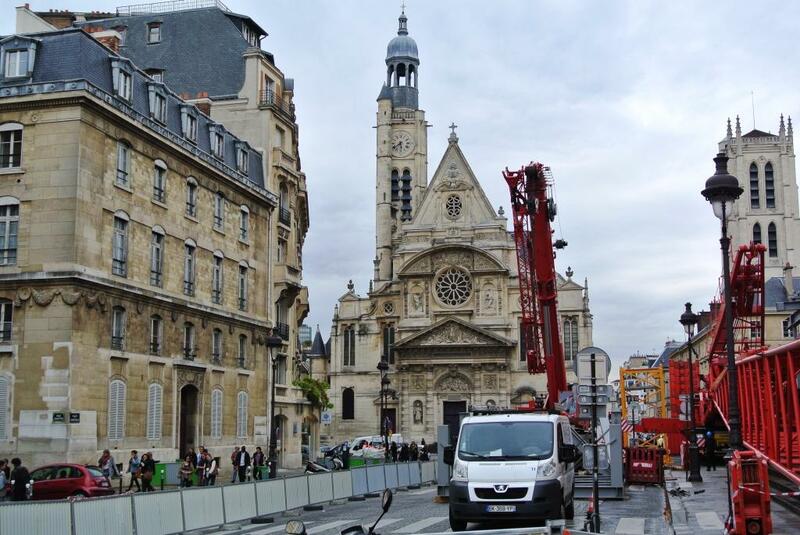 The photos below are from both St. Chapelle and the Cluny. St. Chapelle: an outstanding example of French Gothic architecture, St. Chapelle was built by the 13th century Crusader King, Louis IX, often called “Saint Louis” for his dedication to Christianity and his conception of France (and Paris) as the premier Christian power of Europe. At the age of 34, Louis personally raised and led the 7th Crusade, of mostly French nobles, to Eqypt. 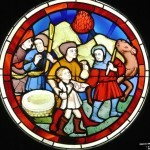 Despite his battlefield courage and saintly leadership of fractious nobles,the Crusade ended in disaster, with long-term financial and political consequences for most of the Christian players involved. Louis’ wife, who went with him and gave birth to a son, saved the day more than once, while back in Paris his mother kept Louis’ political power and throne intact. The 7th Crusade’s disastrous ending haunted Louis, and 20 years later, he undertook another Crusade. This one did him in, and he died in Tunis at aged 56, along with the son born long before during Louis’ previous crusade. 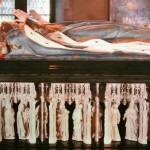 Louis ruled for 44 years (surely a record in the Middle Ages). 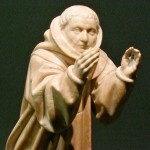 During his reign, the religious orders of the Franciscans and the Dominicans, trade, workers’ guilds, and the arts all flourished. 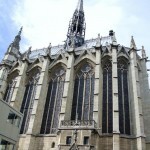 All those religious fervors, taxable activities, and technical skills enabled Louis to build St.Chapelle, located near Notre Dame on the Ile de la Cite. The Cluny: Located in the 5th district, part of the Cluny is built on fragments of an ancient Roman bath, the Thermes. You can visit the Roman ruins, but even more interesting is the modern use of one of the vast Roman rooms: rows and rows of the sculpted heads of the Biblical Kings of Judah. 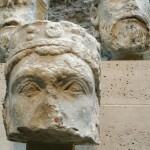 The Heads were carved in stone in the 13th century for the Cathedral of Notre Dame. 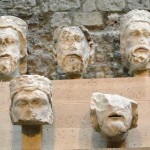 The Heads, 28 in all, were trashed during the French Revolution in one of its anti-clerical frenzies, and thrown off their pedestals at Notre Dame (note the smashed faces and missing noses, as the statues toppled head first from their perches). The Heads were thought to have been completely destroyed. 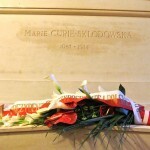 But in 1977, by serendipity, 21 of the heads were rediscovered buried underground. 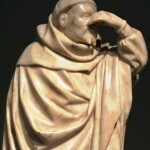 The forty Mourners, carved in the 15th century from ivory, were sometimes dignified, sometimes sad, sometimes comical. The Cluny has an English language audio tour, somewhat puzzling in its arrangement of topics, and an excellent bookstore and gift shop. 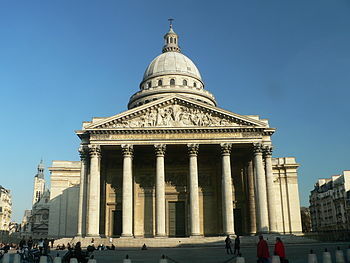 It’s in the 5th district, close to Blvd St. Germain, between Blvd St. Michel and Rue St. Jacques. In other words on the critical path to our favorite macaron and chocolate shop, Weiss. Onward! 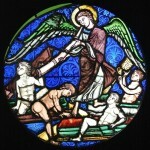 This entry was posted in Architecture, Art, Historical People, History and tagged Cluny Museum, Louis IX, Musee national du Moyen Age, St. Chapelle on Tuesday, June 18, 2013 by Nancy J Padgett. 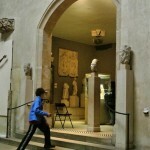 Museum Night, with music and dance inside and out. Musee d’Orsay from across the Seine, at sunset. 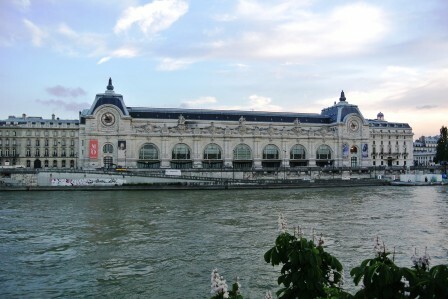 The Musee d’Orsay Is a wonderful space converted in 1986 from a former railway station, the Gare d’Orsay. It specializes in art from 1848-1942, and holds the world’s largest collection of Impressionist and Post-Impressionist works. Built for the Universal Exhibition (World Fair) of 1900, the railway station showcased the Beaux Art style of architecture. Prior to the construction of the railway station, the site held government offices built in the early 19th c; they were burnt down along with the rest of the neighborhood in the violent civil war called the Paris Commune that broke out in Paris with the fall of Emperor Napoleon III in 1871. The site stood in ruins for the next 30 years, until a private company leased t the land to build a station. The new railway station served the rail needs of southwestern France and lasted until in 1939. When it then became too small to handle the larger trains coming into long-distance service, it was converted into a commuter train station. After several other uses in the 20th c, the Beaux Art station was slated for destruction in the 1970’s to make way for a large hotel. 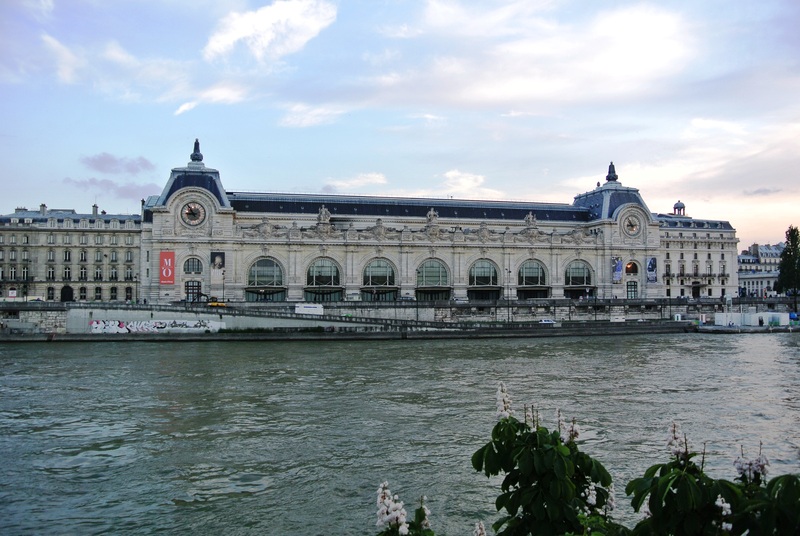 President Valéry Giscard d’Estaing decided to convert it instead to a new museum; the resulting museum d’Orsay opened in 1986. 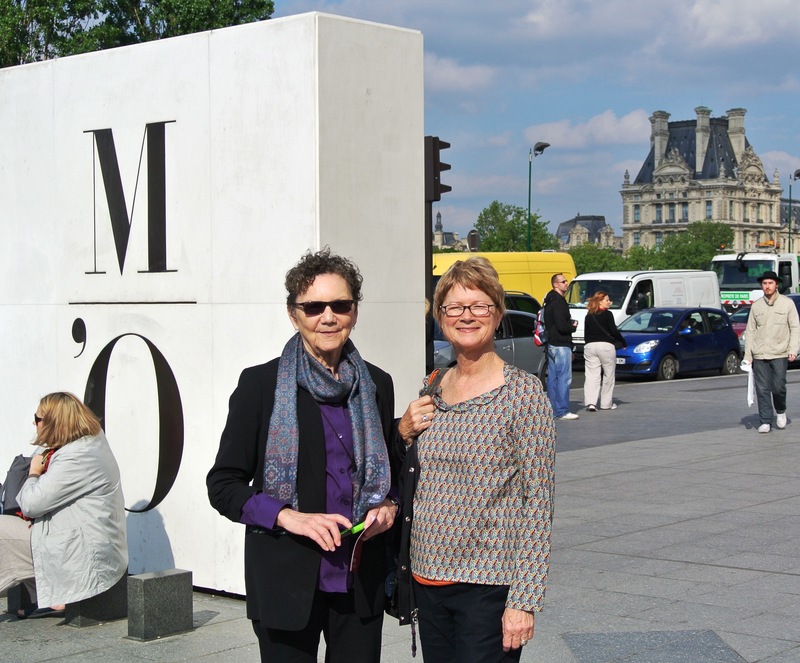 I (Nancy) wanted to learn more about Gustave Courbet, the 19th c. artist.Though the Gaugin paintings and wood carvings in the d’Orsay were a close second for me. Courbet loved to paint the face in his mirror. We in the U.S. know a lot less about Courbet than about the French Impressionists. After the last 40 years of advertising, who wouldn’t recognize a Monet Water Lily? Who was Gustave Courbet? Courbet was born in 1819, right after the end of the French Revolution-Napoleonic era in the region of France known as Franche-Comte, about 250 miles SE of Paris. 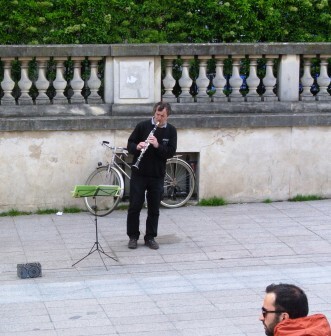 His hometown, Ornans, lies between Dijon and Lausanne, Switzerland, on the banks of a tributary of the Doubs River. His father’s family was from the well-to-do landed gentry in this small town founded in the 6th c., though his mother’s family was publicly opposed to the Catholic Church ( an “anti-clerical”) during the Revolution. Her side “lost” when Napoleon was defeated at Waterloo in 1815, but with no apparent consequences for the family. As a child Courbet grew up believing he was a natural singer, but it’s more likely he was just a noisy wild-child. This would show up later in his love of self-portraiture. At Church, he confessed to sins so preposterous the Catholic priests refused him absolution .Although he loved drawing from an early age, his future, like other young people in the 19th century, was controlled by his father. Papa (sensibly) wanted him to study law–wealth and honor for the family was more likely to be forthcoming. Finally Papa relented and at the age of 21, Courbet got to move to Paris. 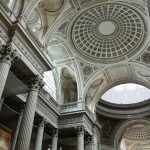 Paris in 1840 was heaven for a young man. Papa, immediately alarmed, berated son Gustave as having succumbed to a dissolute life in The Wicked City. 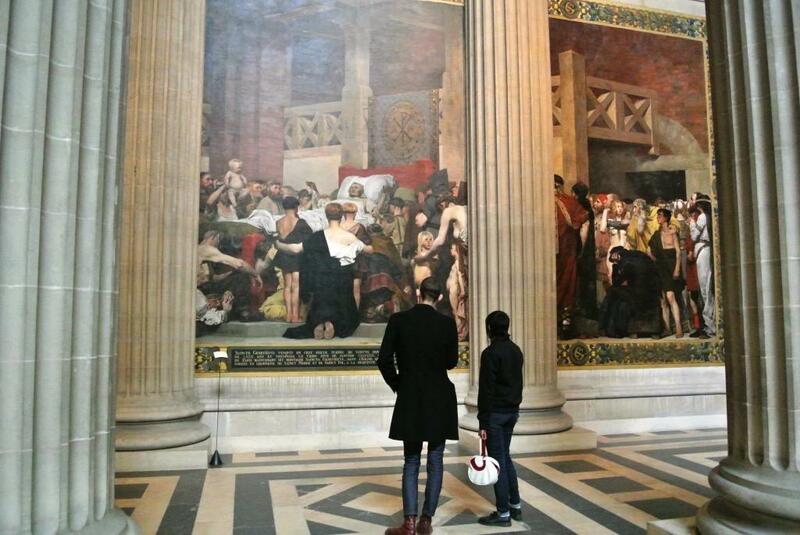 But the errant son was also studying the Masters in the Louvre. He became interested in portraits and landscapes. Not surprising to us today, but a bit off the beaten track in his day, where subjects were usually literary ones or romantic, sentimental clap-trap. And wild though he may have been, he saw the necessity of submitting canvases to the government-sanctioned “Salons,” ruled by the Academy of Fine Arts: without the approval of the government-appointed taste-makers, an artist was unlikely to sell his art. He submitted, his canvasses were accepted in 1848, and some sold. Courbet was launched. France continued to have revolutions throughout the 19th c., –in 1830, in 1848, in 1870–and Courbet became known as a “democrat” and a “republican.” In art he was known as a Realist. The Realists though the artist should paint the everyday, the material, the rational, that backed by science and technology. Not for them Classicism, pursuing perfect Truth and Beauty and elegance; Nor Romanticism, fixated on sentimentality and unrestrained imagination beyond the realm of the material. Sometimes Courbet’s Realism produced the Shock of the Unpleasant; his “Bathers” of 1848 brought an outcry that the women were “disgustingly fat;” the Emperor Napoleon III, who preferred chic women, in disgust struck the painting with his riding crop. But he persisted and by 1861, twenty years after he started, he had achieved considerable prestige, even if the government and the “official” art establishment still considered him a pest.He loved women, many women, usually his models, and never married. 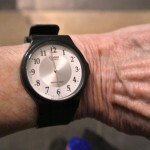 He wrote: ” My love will not stretch far enough to include a journey with a woman. Knowing there are women all over the world, I see no reason to carry one with me (on his travels).” At the age of 42, Courbet opened a school at 83 r. Notre-Dame-des Champs for rebellious students from the official School of Fine Arts, including providing models, including live models, including a live horse and ox in the studio, which he refused to house-break in the interest of Realism. 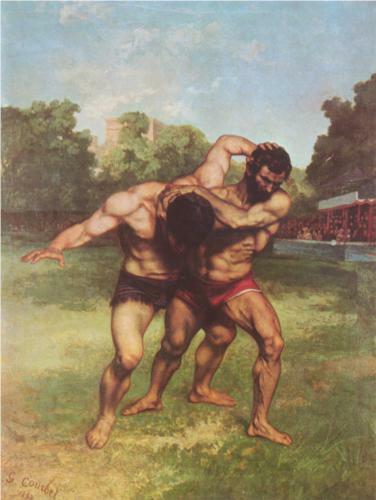 Courbet evidently did not understand that an unhappy landlord would be an intolerant one, and out he went. In 1870, further political instability rocked France caused by mistakes in foreign policy. Germany defeated France in the Franco-Prussian War, invaded all the way to Paris, and forced France into a humiliating peace treaty signed at Versailles. 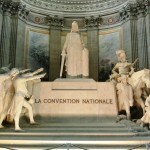 The reign of the current French government, that of Emperor Napoleon III, collapsed. Civil war broke out in the streets of Paris. Courbet sided with the Republican (left-wing) faction and in the ensuring Paris Commune was elected to its governing body. He became the President of the Art Commission of France, and swiftly abolished the official art academies. When the Commune met its end after a very short time, he was arrested by the new French government, and sentenced to nine months in prison. Courbet was an easy target–a member of the Commune, and rich. A rich Republican? Surprisingly, he had considerable financial success later in his life, largely from his masses of landscapes, fashionable portraits, and still lifes, not from canvases addressing social problems. He came to employ a factory method of painting, allowing others to finish his paintings though they bore his name. In 1873, pursued at the age 54 by the reactionaries who now ran the French government, he slipped over the border into Switzerland. But, like the Energizer Bunny, he kept his art factory going, unfortunately sowing the ground for lots of forgeries. Ever the wild-child, he also drank more and more, consuming about 10 quarters of white wine a day, plus absinthe. 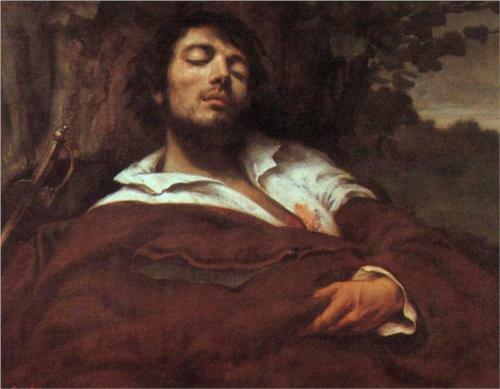 Courbet died of cirrhosis of the liver, only 58 years old. This entry was posted in Art, Historical People, History, Paris France and tagged 19th C Art, 19th c French Artist, 19th c French Biography, 19th c French Society, 19th c Realism, Academie des Beaux Arts, Academy of Fine Arts, Classicism, Emperor Napoleon III, Franche-Comte, Franco-Prussian War, Germany, Louvre, Ornans, Realism, Romanticism, Salons, the Paris Commune on Sunday, May 19, 2013 by Nancy J Padgett.